in the face of adversity, anxiety or indecision? 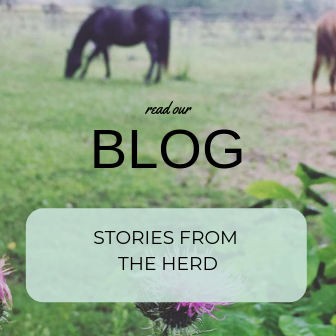 We offer a unique and highly impactful approach to leadership coaching and personal development to help you create a life of flow, resilience, and connection from the inside out, inspired by the way of the herd. Worry. Anxiety. Fear. Anger. Self Doubt … we all feel them but when they take hold of us and run our experiences, we live disconnected from the intelligence of our heart and the grace of the natural world. Have you had enough of trying to work and live in ways that don’t feel right and true for you? Are you faced with a challenge that seems insurmountable? Your inner voice is not crazy, it’s asking for a better way. The data is clear - and you probably know it personally - many of us are living in a state of stress and disconnection. Our work and personal lives are suffering. Heck, the planet is too! We’re here to help you come back to the deeply cooperative nature of life and live like the horses from the inside out. To find your flow, connection, your people, and learn to trust your brave heart to know just how to make a difference in this troubled world. Insightful, intuitive, connected and TUNED IN! Whether you work with them virtually or in person, Tina and The Courage Herd will help you draw power and strength from the visible and invisible world around you. We are so happy to have you join us! Visions only come to life through our togetherness. Check your inbox for a special welcome to the herd.